The motto of the Cologne Chamber Philharmonic is that their entire repertoire contains only the most select works. For the musicians involved it is irrelevant whether they are performing in a quaint mountain village, the Cologne Cathedral, or in the Sydney Opera House – Their enthusiasm for the music remains the same. The plan is to inspire people of all ages to embrace classical music. 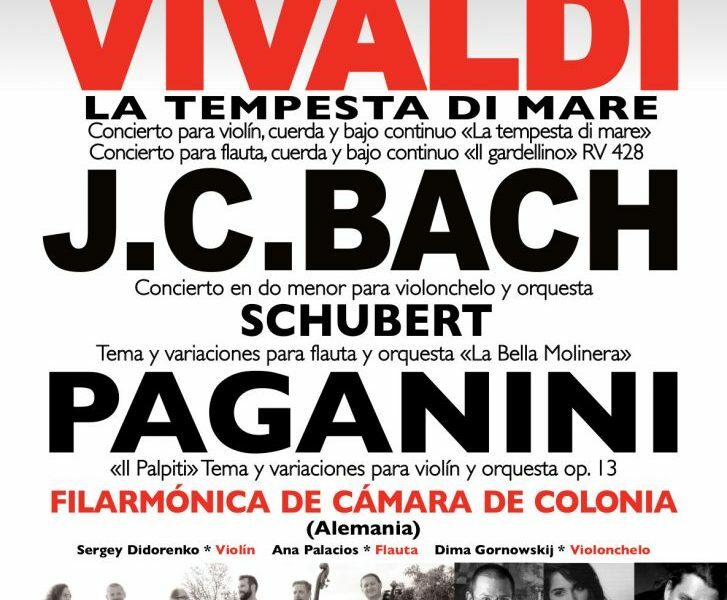 During their performance in Nerja, they will intertwine music from the masterpieces of Wolfgang Amadeus Mozart and Antonio Vivaldi with works from Sergei Prokofiev to the king of tango, Astor Piazzolla.